On November 6, 2018 I will be presenting a Power Point Presentation to the Rhode Island Sewing Network about my Embellishing Ready To Wear Shirts. I am excited to meet this group of sewists from Southern New England. Below is the article about me that appeared in their monthly newsletter announcing my talk. We are very excited to welcome Ellen Miller to the RISN in November. She loves to sew elegant clothing, from the simple to the ornate. She is an accomplished professional couture seamstress and experienced college-level teacher of fashion construction. Ellen’s book, Creating Couture Embellishments, was published by Laurence King Publishing, London, in late 2017. Through her company, Ellen Miller, Seamstress, established in 1983, Ms. Miller has created and altered custom garments for hundreds of sophisticated clients. She served for a decade on the faculty of the School of Fashion Design on Newbury Street in Boston, teaching a variety of construction, pattern-making, and couture techniques. 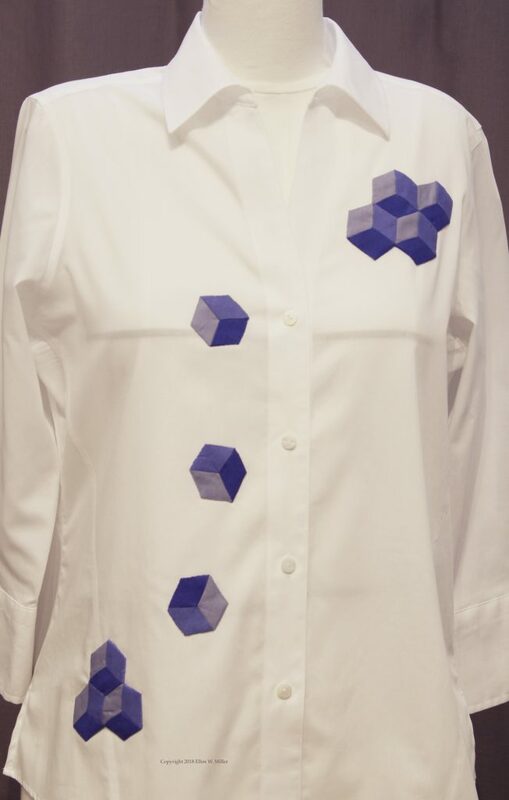 In both her professional and teaching work, Ellen uses her craftsmanship and design sense to realize the designer’s concepts, treating each design as a challenge to create a wearable work of art, and in the classroom, to enable all her students to realize their designs. The personal summary: I love to sew clothes. I love taking a piece of flat paper or muslin and creating a pattern, cutting out the garment pieces in luscious fabric, pining the pieces together, sewing and pressing the seams to form a three-dimensional thing that slides over the body giving voice to wearers inner vision of herself. Creating clothes is slow, meticulous work but oh- the final product- it speaks of me: the love and care put in to it and it speaks of the wearer: bold or soft spoken, brightly colored or muted tones, bejeweled or plain- if it accurately represents the wearer- she will stand tall, feel confident, equal to anyone in the room.